French space agency CNES has selected the Space Alliance, formed by Telespazio (Leonardo 67 percent, Thales 33 percent) and Thales Alenia Space (Thales 67 percent, Leonardo 33 percent), to extend the fiber-optic communications system (STFO) at the Guiana Space Center (CSG), Europe’s Spaceport in French Guiana — this extension will include the new launch complex under construction for Ariane 6 (ELA4). CNES is in charge of the CSG ground segment. The extended system will be ready to meet the needs of Ariane 6 customers by the end of 2019. The STFO communications system acts as an interface between launch customers’ test benches and satellites throughout the different launch preparation phases at CSG, including spacecraft fueling, satellite encapsulation under the launch vehicle fairing and launch pad operations. In operation since the 1990s, this system will now be extended and upgraded to serve Ariane 6 customers. Artistic rendition of the configuration of the Ariane 6 using four boosters. The new system is specially designed to meet the needs of the very high throughput satellite (VHTS) market, as it extends radio-frequency (RF) services to 40 GHz and allows the simultaneous operation of two satellites in Ka-band. Telespazio France, as prime contractor, and Thales Alenia Space in Spain, as subcontractor, will bring to the project their complementary skills in system engineering, communications networks, software systems, RF and fiber-optics, as well as in the operation and maintenance of the current STFO system. Jean-Marc Gardin, deputy CEO of Telespazio and CEO of Telespazio France, said that Telespazio France has played a lead role as communications service provider at Europe’s Spaceport since the first commercial launch of Ariane 1. The company is quite proud to have won this contract for the extension of the STFO system. 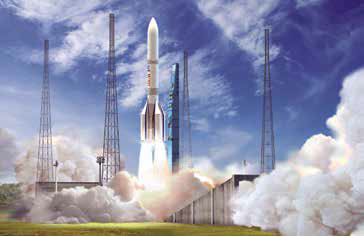 Telespazio is already responsible for highly critical and demanding activities in the CSG, and this is the company’s first opportunity to take an active role also in the installation of the new Ariane 6 launcher in French Guiana. Back on January 12, 2018, Planetary Resources launched the Arkyd-6, a 6U cubesat, a demo platform for technology intended to detect water resources in space — the launch on the Indian PSLV C40 was spectacular and within hours after the spacecraft reached polar Earth orbit, the team began to regularly receive healthy telemetry from the spacecraft. Artistic rendition of the Arkyd-6 smallsat on orbit. Image is courtesy of Planetary Resources. The spacecraft was designed, manufactured, tested and integrated almost entirely in house. The firm’s Redmond, Washington, facilities provided the team the opportunity to prototype and develop all of the hardware under one roof. In the weeks following launch, the team managed the mission, even though the spacecraft was fully autonomous and able to execute all functions independently. At every critical check point, Arkyd-6 communicated with the team. The company is now reporting that the Arkyd-6 has satisfied all of mission requirements. The spacecraft successfully demonstrated the distributed computing system, communications, attitude control system, power generation and storage with deployable solar arrays and batteries, star tracker and reaction wheels as well as the first, commercial, mid-wave infrared (MWIR) imager operated in space. The firm’s MWIR instrument is a broadband imager that spans 3 to 5 microns within the infrared region of the electromagnetic spectrum. This region is sensitive to the presence of water — including that in hydrated minerals — and thermal energy, allowing the smallsat to see elements that are not visible to any other private satellite in space. During the mission, the imager was used as a tool to search for the presence of water and other economic signatures on Earth; however, the company’s focus is to find the presence of water beyond Earth. An example of the MWIR imager’s capability is the image below that was taken by the Arkyd-6 of a refinery in Algeria. The imager was able to capture hot spots or thermal signatures of the refinery flame towers, where all other commercial images of this same area would be of a nondescript desert landscape. 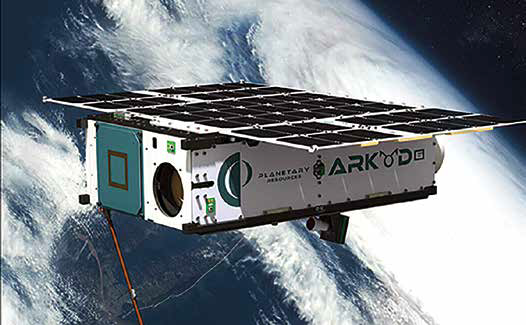 The Arkyd-6 is a part of Planetary Resources’ research and development work to create an instrument capable of detecting water on near-Earth asteroids. The data obtained from this mission, along with the experience gained from building and operating the Arkyd-6 will assist in the development of the Arkyd-301, our next spacecraft platform. The U.S. Air Force and a leading defense contractor have tapped Caton Connector Corporation to supply high-voltage connectors and cable assemblies for an exceptionally demanding mission-critical application: the Milstar Satellite Communications System. Caton was charged with designing and manufacturing high-voltage power-supply cables for various aspect of Milstar. They faced significant challenges and a daunting quality assurance and testing process. One of the most challenging aspects of the program was testing for the vacuum of space. The cables were required to withstand continuous use at 50,000 feet at temperatures of -55 degrees Celsius. Keith Rooney, Caton’s Milstar project lead, said that the firm overcame multiple challenges during the design phase. Designing the cables was straightforward. However, the customer’s voltage requirement kept being raised after the design was completed. This increased demand on manufacturing time and tolerances. The company managed to keep the design and testing program unchanged while meeting the increased voltage requirement. Caton employed its patented no-corona high-voltage connector technology that it developed in the 1980s in order to meet demanding military applications. Rooney continued and said that tight tolerances mean that parts were methodically made. There was no rushing these parts. Every piece took as much time as necessary to ensure quality and pass testing. Each connector lead needed to be tested to ground and to each other. This need further increased the difficulty of testing. Caton’s high-voltage in-house testing facility was custom designed to handle most any high-voltage testing requirement. 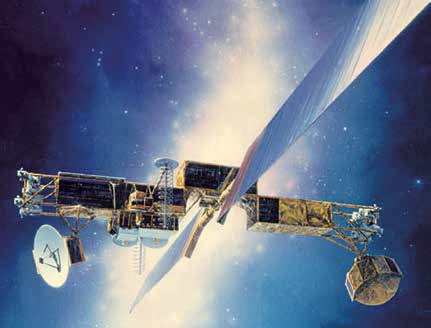 Artistic rendition of Milstar satellite. The lab is so fully equipped that other manufacturers and universities periodically lease it to conduct their own tests. Testing Milstar, however, put the lab through its paces. Rooney described the challenges of testing this satellite component and noted that testing at a simulated 50,000 feet altitude while at -55 degrees C is extremely difficult. The temperature alone is at the hairy edge for brittleness of silicone. 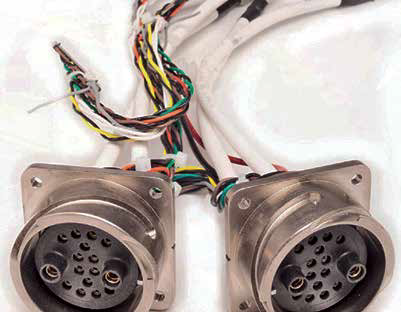 Due to material shrinkage at that temperature, any slight misalignment or the connector not being fully mated could cause the cable assembly to fail at the interface. At that altitude, a void or air gap is expanded, and the voltage required to bridge that gap becomes sufficiently less, making this test extremely difficult. In recognition of the needs of SATCOM ground station and teleport operators and systems integrators, AtlanTecRF has launched their new SDT range of Divider Trays. 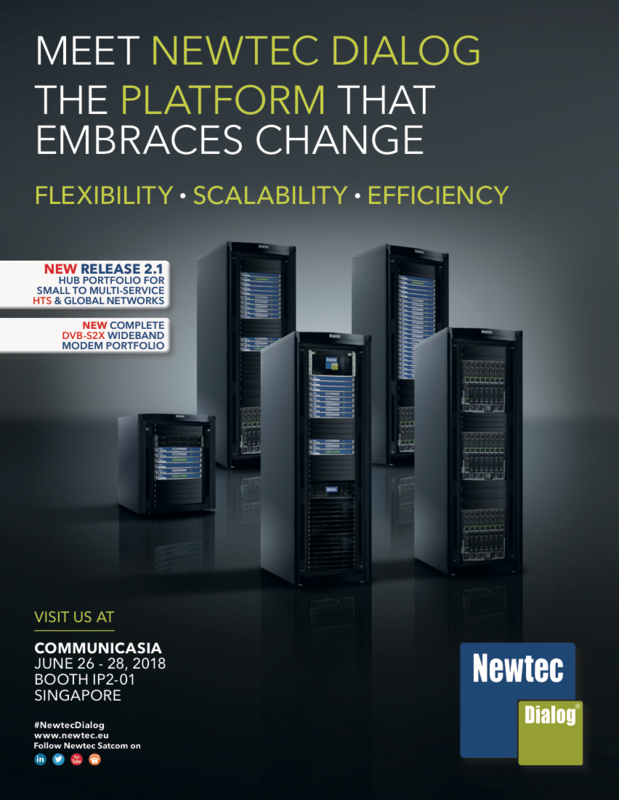 The functionality is relatively simple, but the convenience factor delivered to the user brings considerable benefits in terms of installation time and readiness for connection. In many satellite communications ground stations, there is a need to divide an uplink, downlink or L-band signal for distribution to multiple feeds and, in the past, this has often been achieved by attaching co-axial power dividers to the rack system cabling. Electrically, this traditional method works well; however, for a systems integrator, this is not the neatest of solutions and often requires some on-site mechanical installation and that’s time consuming and does not make the best use of skills in time-limited installs. AtlanTecRF’s solution is to provide a 1U x 19” rack chassis, in keeping with the majority of all the major elements of the ground station, which can be very easily slid into place and cabled up. Standard 8, 16 and 32 way dividers are available in all bands from L-, through S-, C-, X-, Ku-, DBS- and Ka- to Q-band. 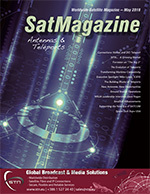 Geoff Burling, AtlanTecRF CEO, said at the product’s London, U.K. launch, that although simple in concept, this series of Divider Trays brings to the SATCOM community an incredibly versatile and cost-effective route to feed connectivity, and continues the AtlanTecRF drive to put the user in first place. 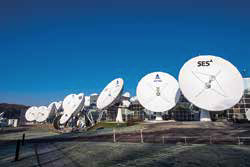 SES has expanded its technical reach in Ghana and now serves four million TV homes, compared to two million in 2015, according to the Satellite Monitor study that was commissioned by SES. The study shows the leading position of SES in the Ghanaian TV landscape, as SES now reaches two-thirds of TV homes in the country, the vast majority being fed directly by its satellite fleet. The increased reach is mainly driven by SES’s prime orbital position at 28.2 degrees East, which reaches 97 percent of all satellite TV homes in Ghana. From that orbital slot, SES hosts WAPS (West Africa Platform Services), a free-to-air (FTA) TV platform that provides broadcasters with access to the highest reach in West Africa and gives Ghanaian viewers access to 75 TV channels. The results of Satellite Monitor show that satellite has grown rapidly and has become the leading delivery mode in Ghana: out of six million TV homes, four million are directly reached by satellite, an 83 percent increase compared to 2015. The remaining two million homes are fed by terrestrial networks, representing a 40 percent decline since 2015. The study also illustrates the important role of satellite for the digital switchover, serving 95 percent of digital TV homes. Digital TV has expanded in the country, with 69 percent of homes receiving digital TV signals, up from 40 percent in 2015. SES has also expanded their reach to 30 million TV homes across Africa. In addition to the growth of homes reached in Ghana, the study also shows that there was an increase from 3 million to 11 million homes reached in Nigeria. In addition, Ethiopia, Uganda and Tanzania — which are being included in the Satellite Monitor for the first year — account for an additional 7 million homes reached by SES.